So far, over 2000 volunteers have signed up and committed to bring these wonderful activities about emotions, wellbeing & children’s rights to over 350,000 children in almost 150 countries! UNICEF is doing vital work to protect children, and one day a year, it’s time to celebrate. World Children’s Day is an opportunity to focus on progress the world’s made toward protecting children’s rights — and the future: Our children. UNICEF’s “World Children’s Day” — the UN’s “Universal Children’s Day” — celebrates the signing of the Convention on the Rights of the Child 29 years ago on November 20. As we’ve done the last two years, this year Six Seconds’ community will be holding POP-UP Festivals on emotions, wellbeing, and children’s rights around the world all November. 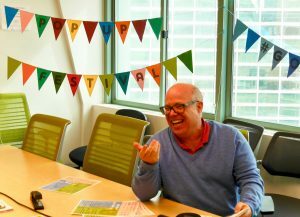 Read more and join this inspiring celebration here. 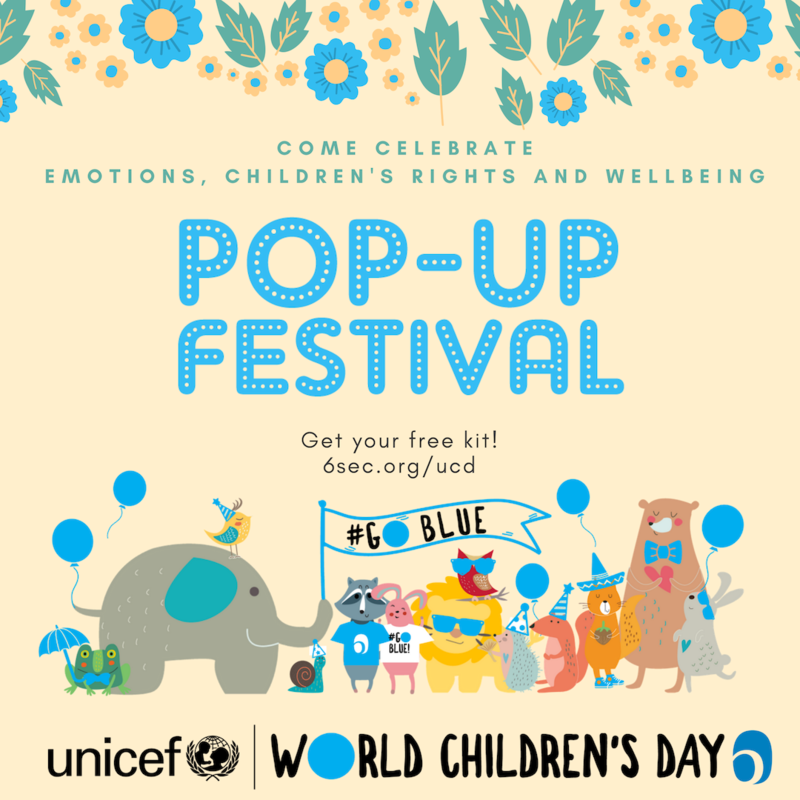 The “POP-UP Festival” is a collection of interactive games & learning activities that teach valuable insights about emotions, wellbeing, and children’s rights. Parents, educators, or other volunteers organize a POP-UP Festival by selecting the appropriate activities for their audience, printing them out & gathering simple supplies, then bringing people together. POP! It’s a festival. The POP-UP Festival activities work for a wide age range. Some activities are geared to those under 5-years-old, many are ideal for 6-10 year-olds, there are several specifically for tweens and teens — and many of the exercises are the very ones we use in our corporate training programs and so a POP-UP Festival can be for just adults too! UNICEF’s logo is blue, and our planet is blue, so the theme for this year’s World Children’s Day is #GoBlue — in November, children are encouraged to wear blue or make blue pictures or take blue selfies — or use the activities in the POP-UP Festival kit — and to also sign the World Children’s Day petition that will be online starting Nov 8. 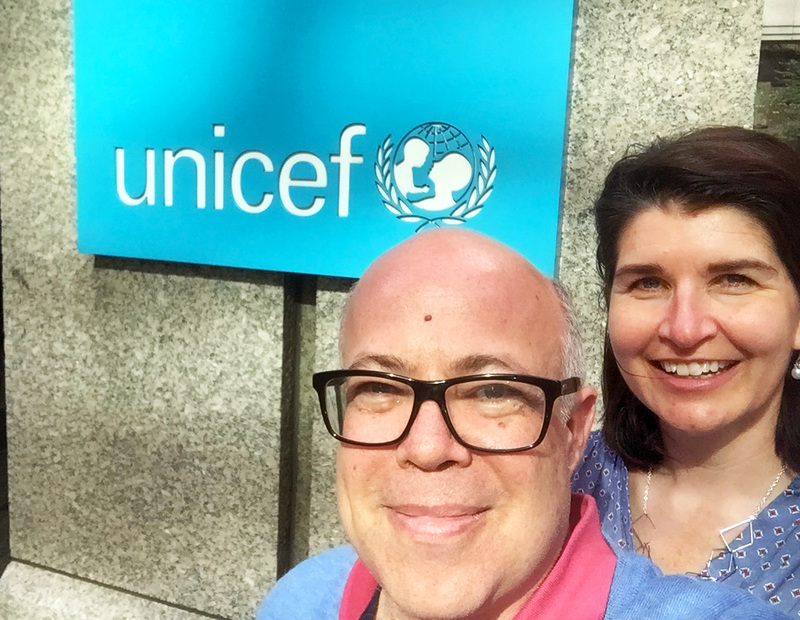 We’re thrilled that the Six Seconds’ community can work in direct support of UNICEF in this year’s event as partners in the World Children’s Day celebration. We’ll share the petition as soon as it’s available! Every one should work together for children to grow up safely. We should take care of their mental health. We should always take aside by a part of children of the entire world either poor, rich , disable , lunatic etc. it’s our duty to show our humanity against them because they are the future generation of this universe . I am from Bangladesh and very much eager to join the forthcoming children convention . If you give an invitation letter hope I’ll reach within stipulated period so that I can dedicate myself towards the children . Would like to share children activities. I want to know more about feelings. I’m also eager to join in any campaign as a volunteer anywhere of the world and dedicate myself to do something for the children . It’s great.. Can I join with u?